ORLANDO, Fla. - November 6, 2015 - FlightScope®, a world leader in the development and manufacturing of 3D Doppler club and ball tracking monitors, golf radars and launch monitors for sports, officially announces its partnership with Global Junior Golf today. FlightScope will enhance the training experience at several Global Junior Golf events in 2016 giving participant's first-hand experience with its cutting edge technology. The partnership kicked off at the Evolve Spanish Junior Championship in Spain on Sunday, November 1. The practice day of the event was the official Global Junior Golf FlightScope Skills Day. Junior golfers between the ages of 12 and 19 tested their abilities using FlightScope's advanced tracking and radar technologies. 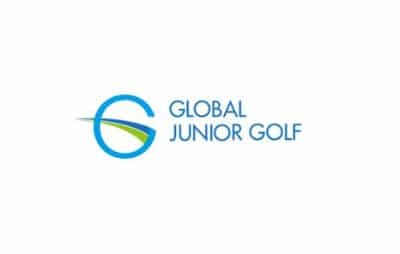 "We're very excited to partner with Global Junior Golf, especially after seeing such a positive response from participants during the first event earlier this week," said FlightScope's CEO, Henri Johnson. "FlightScope's technology is the perfect tool to help emerging golfers hone in on their areas of improvement with greater precision than ever before. This event was the perfect place to introduce the power of technology in practice to the younger generation." Participants at Global Junior Golf Tour events are able to do short tests on each range using FlightScope's technologies while competing against other players for top rank. Scores from this event and all other events during the partnership are put into rankings for male and female categories. The leader in each category after one year will receive a FlightScope launch monitor to use in practice and training during the 2016 winter season. "Youth player development and training has always been a personal passion of mine, and this partnership is a great way for FlightScope to help develop and shape a new generation of skilled golfers," added Johnson. Players can access their data from this event and all future partnership events by going to Myflightscope.com. Information gathered from each event can be shared with coaches and instructors through FlightScope's database. To find out more about the partnership between FlightScope and Global Junior Golf, visit Global Junior Golf's website.